Automobile collisions are the most common cause of serious personal injuries and wrongful death claims. While Kaplan Law is constantly representing clients with injuries suffered as a result of another's careless driving, these cases are far from routine and simple. We have a broad base of knowledge of car accident litigation. Our office is extremely well versed in how Oregon and Washington laws relate to car accidents, insurance coverage issues and how to obtain a full recovery for our clients' losses. While our office is located in the Portland metropolitan area, many of our clients are injured in different types of settings. Whether you have been involved in a crash in commuter traffic or a victim of a head-on collision on a country road, we have the experience to help you recover. Every day we do battle against an insurance industry that will use all of its wealth and power to deprive the injured from receiving justice and a full recovery. Victims of auto accidents should recover for property damage (not just their car, but any property damaged from the crash), medical bills, lost wages, lost earning capacity, pain, humiliation, and loss of quality of life. At Kaplan Law, LLC, we advocate for our clients to receive a full recovery so that they can get all the support they need in the future in order to carry on with their lives. In Oregon there are complicated issues due to the specific laws governing insurance policies. It is important to have an attorney who understands where to look for coverage and recovery. $15,000 in reasonable crash related medical treatment over a two year period. Lost wages: 70% of ones income up to $3000 per month for an aggregate 52 weeks. Essential Services of up to $30 a day for an aggregate of 52 weeks. Child Care Expenses if the injured person is hospitalized up to $25 a day but not to exceed $750. Funeral Expenses, within the first year up to $5,000. Oregon is a modified comparative fault state. ORS 31.600 states that an injured party may recover so long as their contributory negligence is less than the defendants. Any recovery will be reduced by the percentage of the plaintiff's own negligence. Washington State RCW 48.22.085 requires that insurance companies offer PIP coverage, but allows an insured to reject this coverage in writing. RCW 48.22.095 sets out the Minimum PIP benefits in Washington. Income benefits of $10,000, subject to a limit of $200 per week. Loss of Services of up to $5,000, subject to a limit of $200 per week. In Washington RCW 4.22.005 sets out how contributory fault is governed. WA is called a pure comparative fault state. This means the injured party can still recover even if they are more than 50% at fault. This recovery will be reduced by the amount of the injured party's percentage of fault. 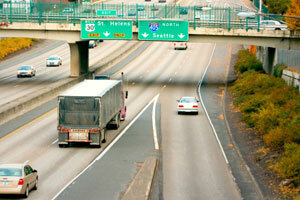 In Oregon, passengers of automobile accidents can recover against whom ever is responsible. Passengers can get stuck in the middle of the "insurance coverage blame game". This occurs when there is an accident and the insurance companies for the involved parties do not want to accept responsibility leaving the passengers with a big headache, a mountain of bills, and untreated injuries. We handle these types of cases regularly. Don't let the insurance companies bounce you back and forth on who should be responsible for ensuring you fully recover from your injuries. Passenger injuries can also occur from a single car accident. This situation typically occurs when there is a rollover crash or when the driver loses control and crashes into something like a telephone pole, drainage ditch, or a roadside barrier. In any of these situations the passenger should be able to hold the driver and their insurance company accountable for careless actions that caused the injuries. Call Attorney Matthew Kaplan at (503) 226-3844 or contact him online today. If you have already scheduled your free appointment, please fill out our Motor Vehicle Accident Injury Intake Form. This will save you time when you come for your appointment.